Updated! There’s now a blog filled with the Sears Homes of Tulsa! Click here to see two dozen photos! 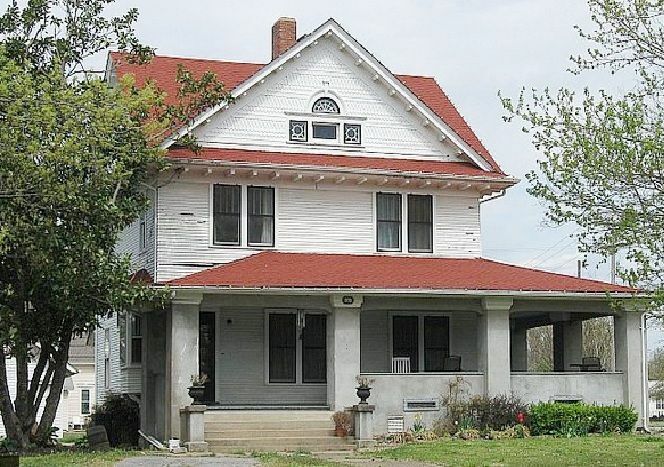 It’s entirely plausible that this house in Chelsea, Oklahoma was the first Sears kit home in Oklahoma. 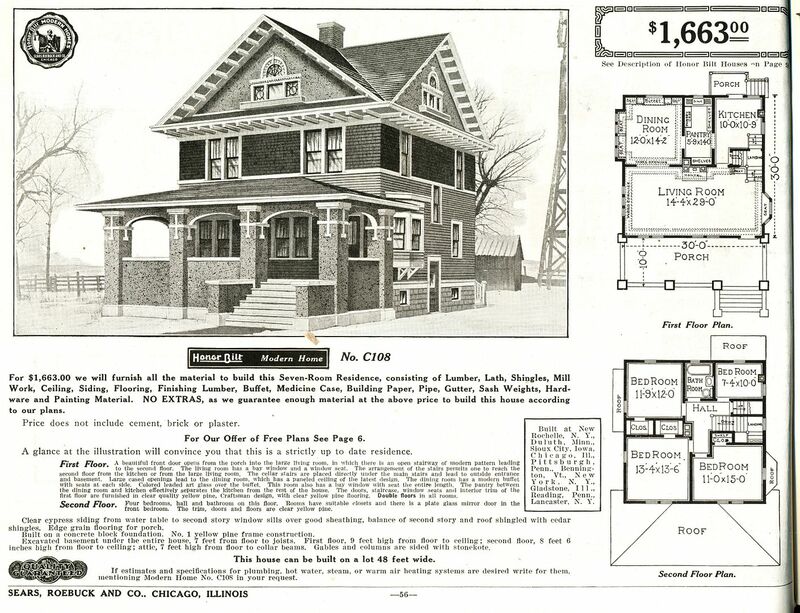 However, Sears didn’t start offering their pre-cut homes until somewhere in 1914 or 1915. Rebecca Hunter and I are still debating the precise date. 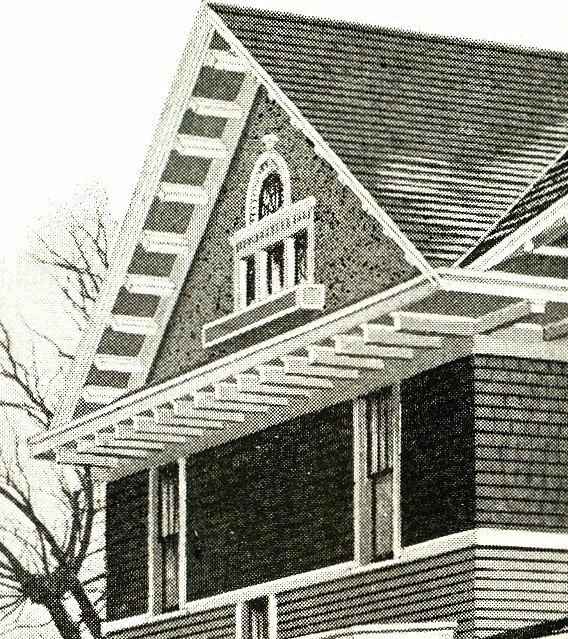 :) Prior to 1914/1915, Sears kit homes were not “precut.” In other words, sufficient lumber arrived to build your new house, but each and every piece had to be carefully cut to fit. The Saratoga in Chelsea, Oklahoma was built by Joe Hogue, a cattleman. (Is that like a really old cowboy?) 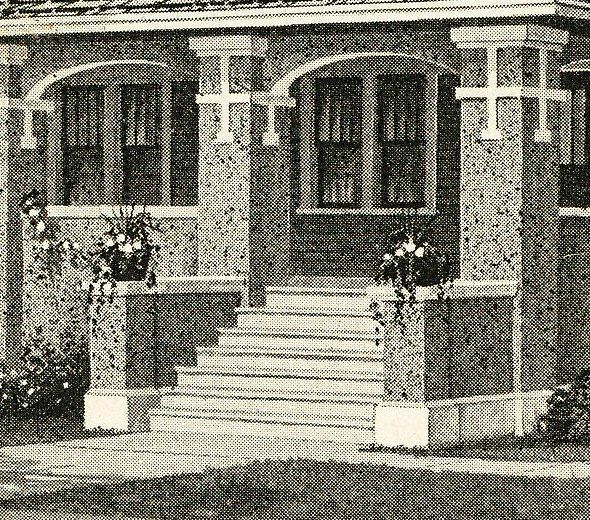 Seems that when Mr. Hogue visited Chicago in 1912, he saw a display of Sears building materials at Sears headquarters, and included in that display were a few “Sears Modern Homes.” He liked the Saratoga (then known as Sears Modern House #108; houses weren’t given names until 1918). 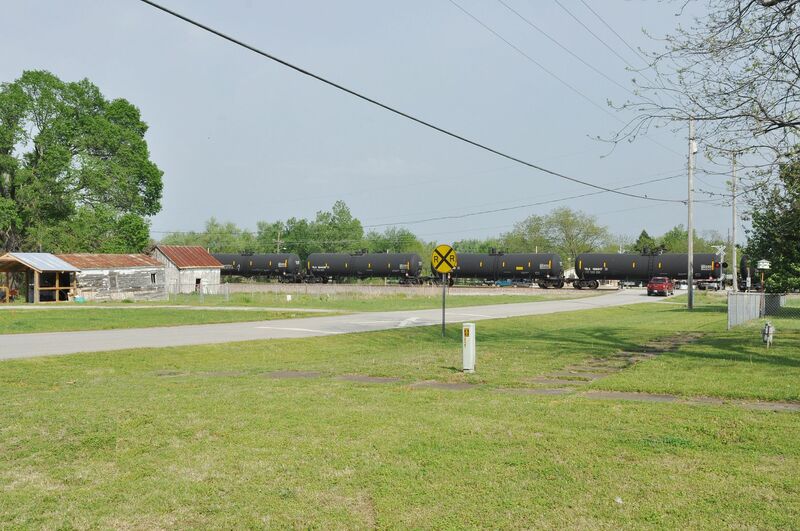 The house was shipped to /Chelsea via The St. Louis and San Francisco Railroad. 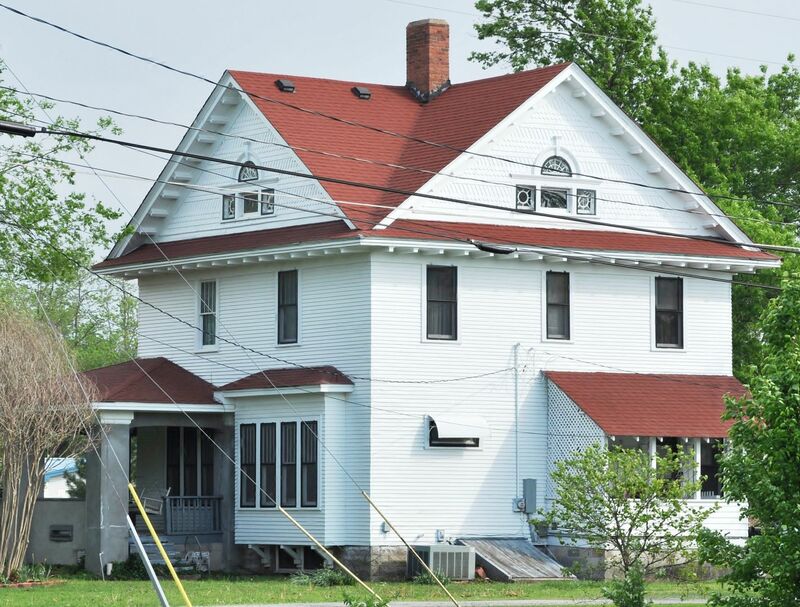 What’s most remarkable to me is that (as of 1981), the house has remained in the same family since 1912. Thanks to Rachel Shoemaker for providing all the photos, and sending me a copy of the nominating form. All extant photos are copyright Rachel Shoemaker and can not be reproduced without permission. According to The National Register of Historic Places nominating form, this was the first Sears kit home in Oklahoma. It is a beautiful example of a Sears Saratoga. 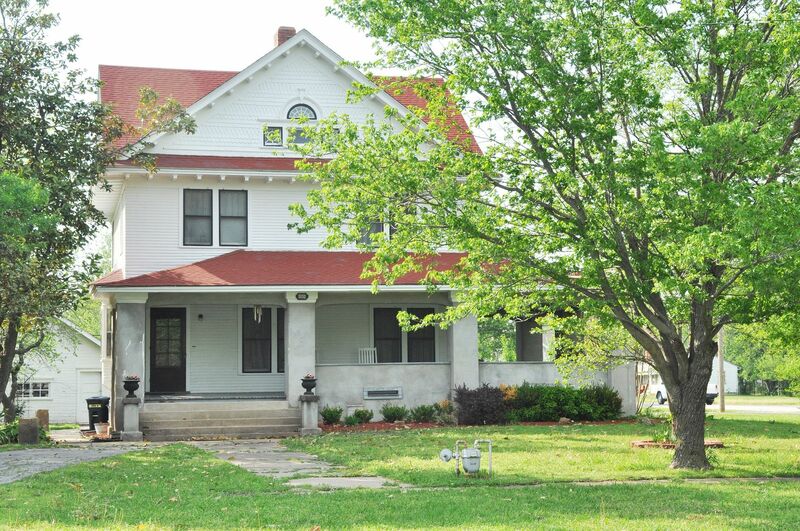 Said to be the first Sears Home in Oklahoma, this Saratoga is in wonderful condition. 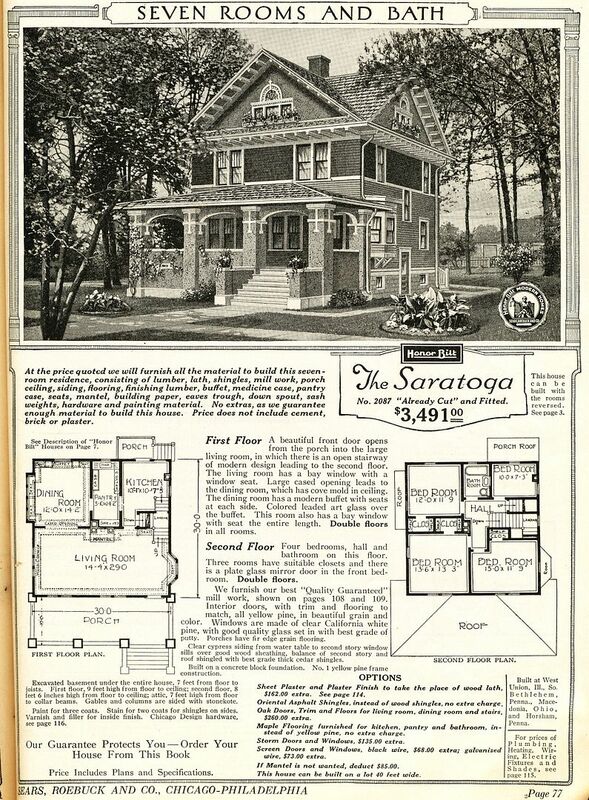 The Saratoga, as seen in the 1921 Sears catalog. And from the 1916 catalog. And they're still in place! 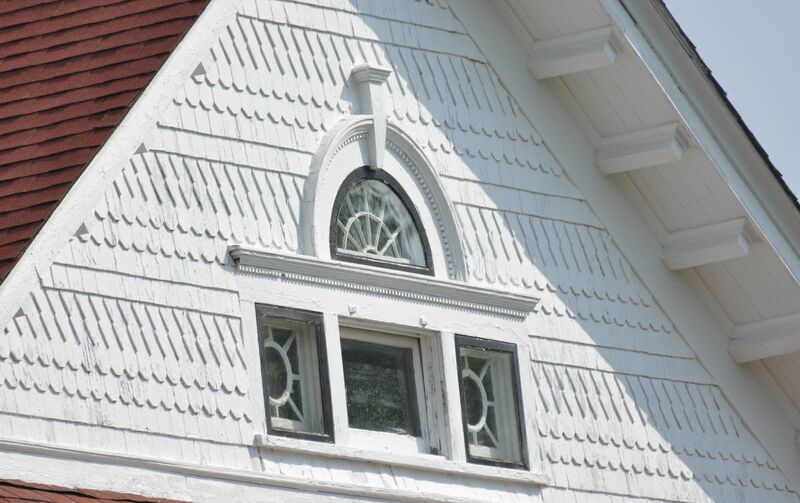 Close-up of the Saratoga's side. And the house in Chelsea. Nice match! And the train tracks were nice and close, too! A close-up of the floor plan shows it was a spacious home. 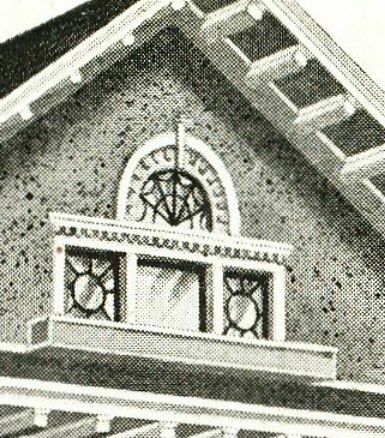 This is from the 1916 catalog, and the 1921 catalog shows an identical house, but with a different price! In 1921, the price had jumped to $3,491. 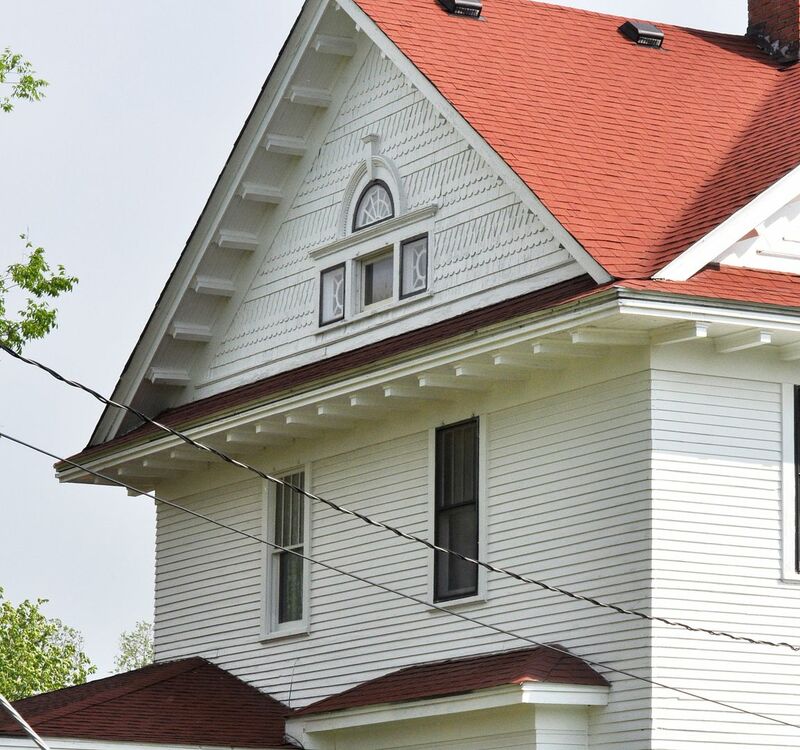 One feature on the Saratoga that you are NOT going to see on any other Sears house is the placement of this chimney. It's at the peak of the roof's intersection. 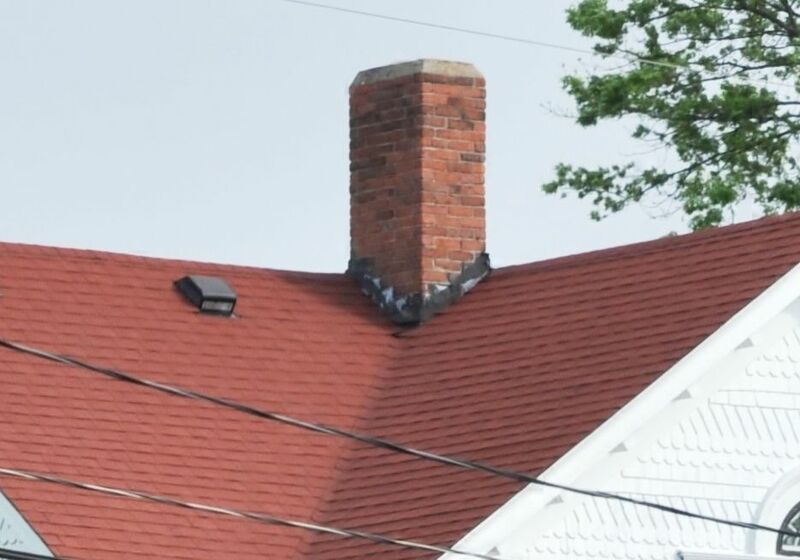 For the novice homebuilder, this a complicated place for a chimney. This is my favorite "unique item" on the house. 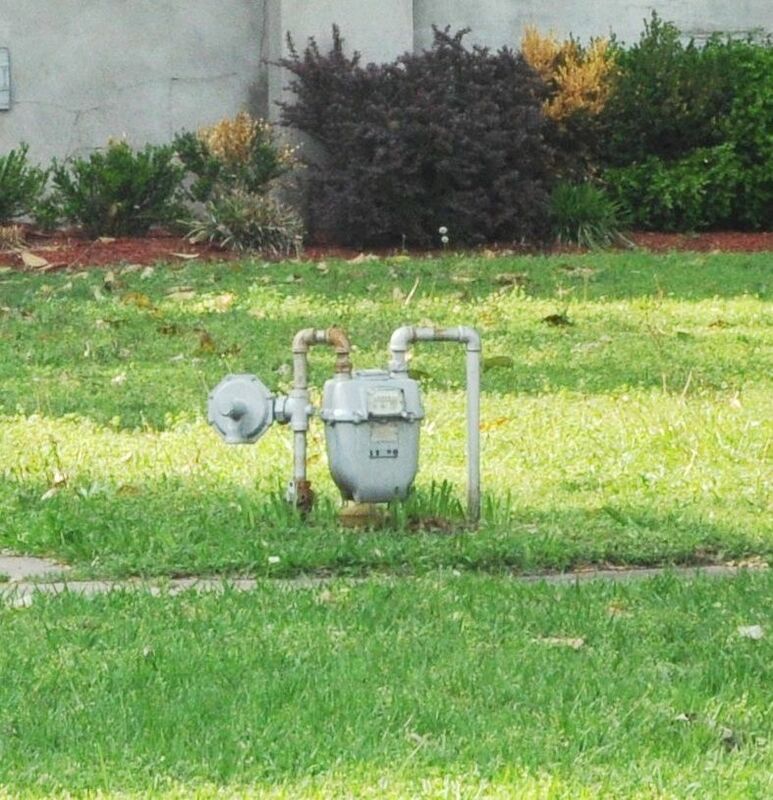 The gas meter is next to the sidewalk. In all my travels, I have never seen such a thing. I checked my notes. Joe Hogue’s only child, Erskine Hogue-Stansberry, lived in the house until her death in 2005. The only changes she ever made to the house was adding carpet, and the heating and air conditioning. I think I also read that she was a school teacher, can’t find where I read that. I don’t think she ever had children either. I interviewed Erskine Stansberry before her death and was given a wonderful tour of the home. Erskine was an English teacher all her life and taught in Tulsa. She was so proud of the house - hope the current owners realize what a treasure they have. She told me there is another Sears home in Chelsea - I can’t find the address now - but it is small and rather poorly taken care of. The current owners do, indeed, realize what a treasue they have, and they have done what they can to keep it in beautiful condition. I currently own this home, I bought it from the family. It was pre cut with only one board too long. He was able to purchase this pre cut kit home directly from the world’s fair in Chicago. Erskine was a schoolteacher to three of my aunts. My mom was born in Chelsea in the house at 7th and Hickory. About 20 years ago, I knocked on Erskine’s door, identified myself, and she invited me in for lemonade. She told me about the one board too long (I think is was one of the pieces that made up the ceiling of the front porch). She told me about her cattle-driver father, and that everybody in town came to the train depot to watch the cartons unloaded. She also showed me the original dining room table and chairs, where we sat, as she remembered how Will Rogers used to sit in that room and smoke a cigar with her father. She also showed me the hand-made Indian baskets that her mother had bought around 1912 in Arizona or New Mexico. One of them was a basket within a basket. Do you still have them? I’ll bet they’re worth a fortune. This was the first house in Chelsea with indoor plumbing, and it had all the electrical wires and switches built into the walls, although at the time there was still no electricity in Chelsea. She didn’t offer to show me the upstairs, but that was okay. At the time I visited, there was also a large Southern magnolia to the left of the steps up to the front door, and it was in full bloom. I was born in Tulsa, grew up in Connecticut, and now I live in the south of France. But if I ever get to Chelsea again, I’d love to visit and say hello. 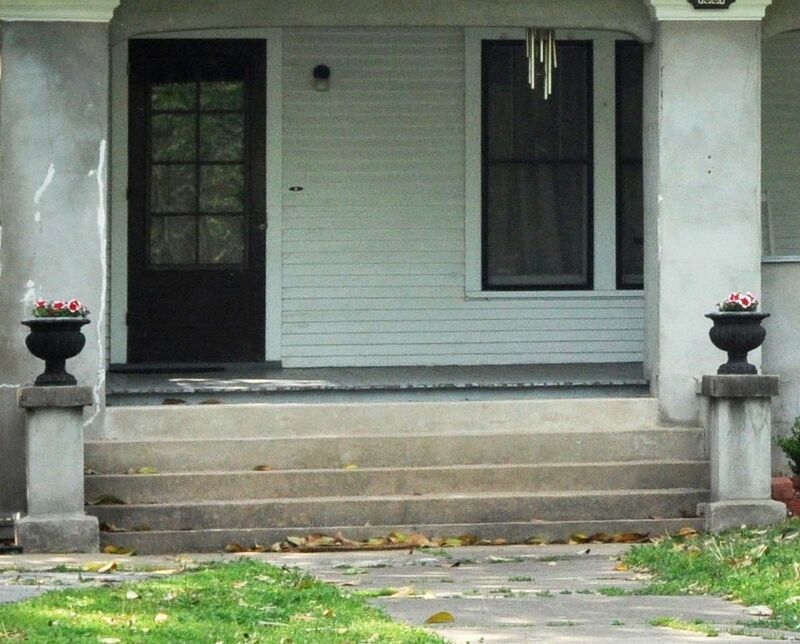 Take good care of Erskine’s house! She was very proud of it, as well she should have been, and I know you’re doing a good job to keep the history alive. Erskine was not the only child, and the oldest was Clark, then Condry “Lea” Hogue, and then Erskine, and there was a baby that died (Mary). Joseph “Joe” Hogue was my great grandfather, and he was a cattleman with many holdings in land, oil, and in stockyards throughout the country. He was a friend to many, including outlaws like the Daltons, Henry Star, Pretty Boy Floyd and more. He was also friends with cowboys, such as Will Rogers and his son, Clark. The Hogues were one of the pioneer families in Rogers County, and some of them are still in Chelsea. Today, family members are in Washington state and Texas. Mary Hogue was the first collector of Oklahoma Cherokee baskets and helped find markets for those baskets in order to help the rural women gain income. She amassed a large collection of outstanding baskets, but no one seems to know what happened to those baskets. I know where four of the baskets are, but what happened to the rest? I am writing a history of Cherokee baskets and would like to solve this puzzle. Maybe they went to a museum, or another collector? I’m very curious. Back in 1964-66 I lived in what seemed as the same as the Hogue House, only over on 7th and Vine. It additionally had a stone fence that bordered the streets, along with a fish pond & fountain and a “Chinese pagoda” outdoor Barbeque area. It seemed to have a name like “Pawley Home. Any info would be appreciated. I just came across this. My family lived there for two years (1964-66). I’m sure some memories are exaggerated, I was only 12, but they are overpowering. They include a stone fence along Olive and Pine, made with individual stones. There was a fish pond in the northeast corner and a stone pagoda in the back yard. Also a 4(?) car garage with an apartment on top. A boarded over stairway in my bedroom ran down to the kitchen, where the maid supposedly slept. Our only air conditioning was a window unit in the living room. I rode my bike up to school, and stocked cans at Archer Grocery on Main St on Saturdays for 39 cents an hour. I would be happy to discuss additional memories,right or wrong, as available. Whoops, my mistake. My sister corrected me that we lived in the “Pauly(? )” House at the corner of Beech St. and 8th St. Regardless, it’s still overpowering, and any info, pictures, etc. would be greatly appreciated. We just returned from a RT66 trip from IL to CA. We used Jerry McClanahan” Route 66: EZ66 GUIDE For Travelers” book and this house is sited on the tour. It’s still in great shape and was a blast to see. I hope the current owners maintain it.